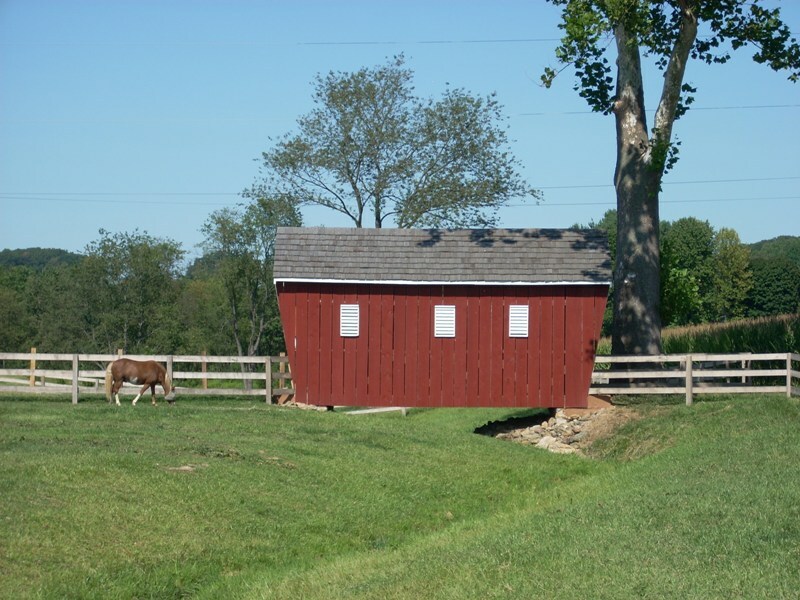 Full Cry Farm Covered Bridge is located southwest of Manchester, Maryland. Approximately 28' in length, the bridge was built in 2007 by the resident of the property using lumber from an old corn crib. Full Cry Farm bridge provides access from the barn and horse area to the corn fields. Private property. Please ask permission to visit bridge. Photo taken 2008.